The Memory Craft 6500P is not your usual home sewing machine. It is a computerized dream machine for every type of sewist - from garments to quilting and home dec. 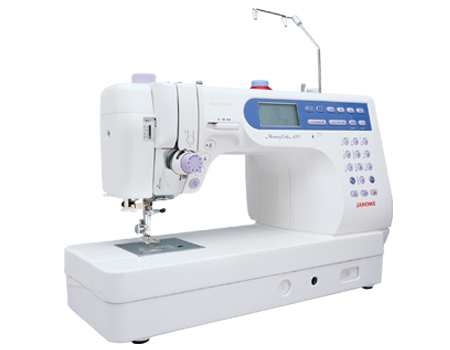 It provides speed and precision critical to advanced sewing and contains serious features for the serious sewist. Sewing speeds of 1,000 stitches per minute mean that your projects get finished quickly, and our advanced features ensure that they get completed easily. It also includes many features designed especially for the quilter, including specialty stitches and an advanced feed mechanism. Machine size: w19.5" x 11.8" x 8.6"
Work space: 8.8" x h4.7"